The staff ride is an educational tool used to further the professional development of U.S. Army leaders. Its origins can be traced back to the Command and General Staff College at Fort Leavenworth, Kansas in the 1890’s; the first staff ride occurred in 1906 at the Chattanooga battlefield, Tennessee. Staff rides apply lessons from the past to present-day Army leadership for current application. Utilizing historic events on the actual terrain where a battle occurred provides an interactive and hands-on experience giving the participant examples of tactics, strategy, communication, logistics, and the psychology of men and women in battle that can be applied in today’s military operations. 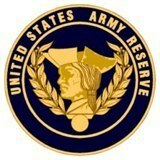 The staff rides conducted by the US Office of Army Reserve History (OARH) will focus on the battles and events of the Southern Campaign of the American War of Independence (1780-1781). It was this campaign that brought the war to an end. The staff ride season will run from October through April each year with a trip occurring approximately every other month to enhance mental continuity. The OARH can also tailor a staff ride to any of the locations provided to meet the needs of your training or professional development programs.